Pebble Ceiling Tiles are commercial grade 2’x4’ drop ceiling acoustic tiles that measure 1” thick and have a white nubby face finish to them. 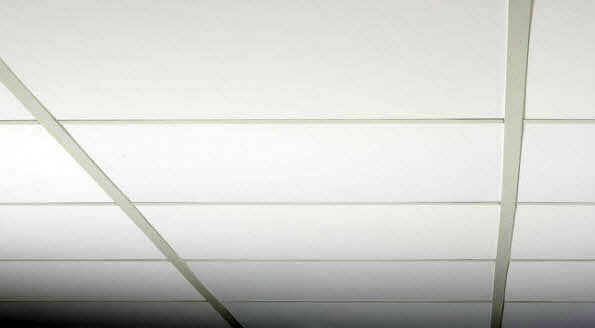 Made from compressed fiberglass, they are designed to fit an existing 2’x4’ drop ceiling grid system. 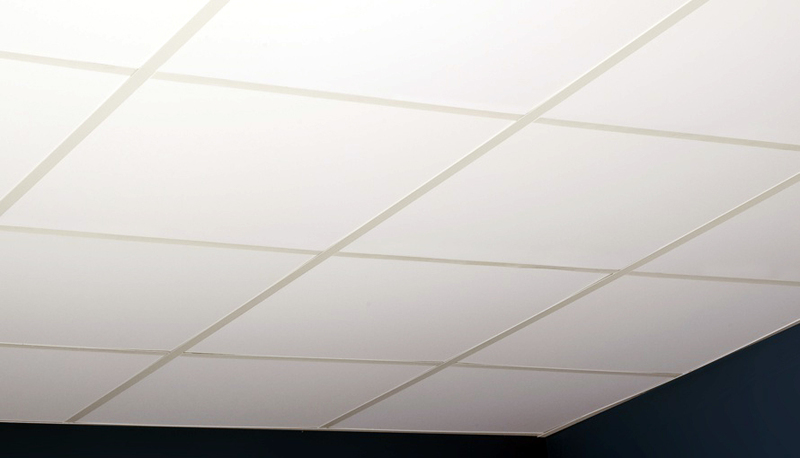 These sound absorbing ceiling tiles are also available in a 2’x2’ panel. 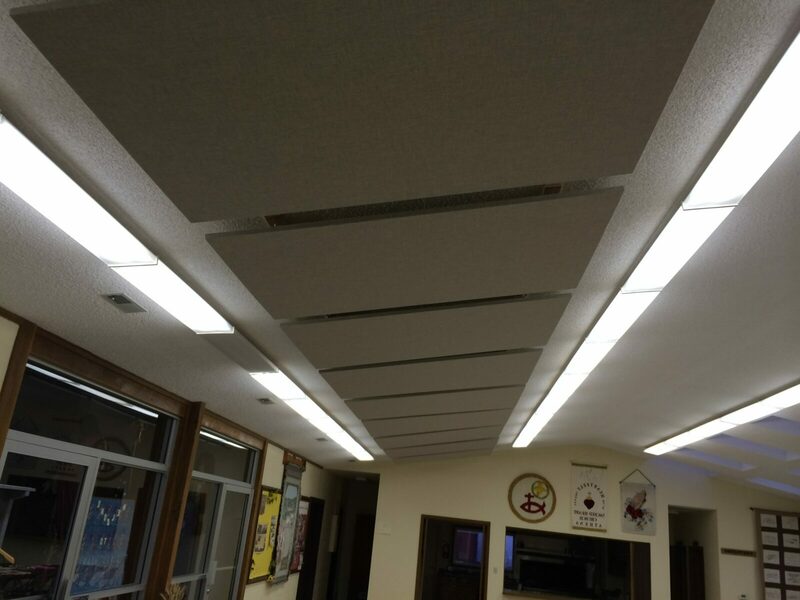 If your goal is to control your room’s acoustics with a cost effective sound absorbing drop ceiling tile system, the Pebble Ceiling Tiles are right for you. Outperforming most standard grade commercial tiles with a strong NRC value, the Pebble drop ceiling acoustic tiles look great and sound even better. 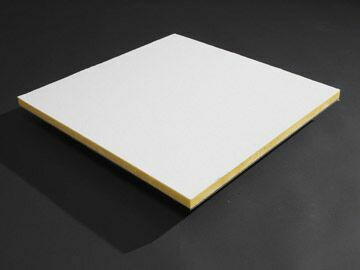 Pebble sound absorbing ceiling tiles are priced as shown. Orders can be placed by phone at 1-800-638-9355 or online using the link to the left. Some clients opt to remove the drop ceiling grid system all together and opt instead to control their room’s acoustics with a variety of other perimeter wall or ceiling mounted sound panel systems. 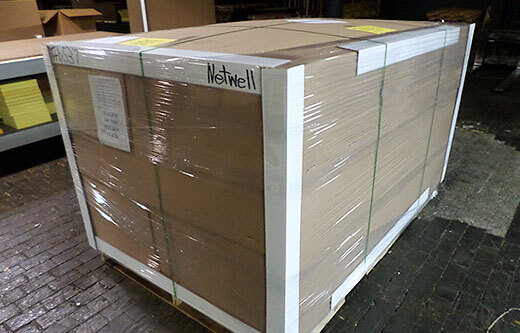 Be sure to check our Case Studies library for a variety of recent sound panel projects at NetWell. Pebble Ceiling Tiles are trimmed to size to rest in existing 2’x4’ or 2’x2’ drop ceiling tile grid systems. They can easily be cut with a utility knife as needed during your installation, cutting around lights or off side panels around the outer perimeter of the room. Pebble Ceiling Tiles are boxed, stacked, and shrunk wrapped on pallets to be delivered via common carrier to your project site. Be sure to carefully inspect your order upon delivery to ensure that no damage to the panels occurred in transit. For questions related to your shipment, contact our help desk at 1-800-638-9355. Our popular Room Analysis is complimentary. This innovative tool will help us define the framework for your upcoming soundproofing treatment, and quote your project back to you. Based on the size, shape and surface textures in your room we are able to calculate the required coverage amounts. Submit back your room size and we will send you your quote!